If you have dropped your iPAQ 100 series Classic Handheld and the front or rear casing is now broken or scratched, this is the repair service for you. 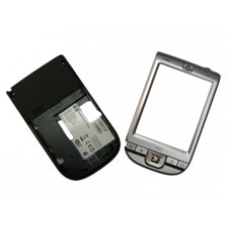 We will fit a brand new front and rear case to your unit restoring the iPAQ Classic back to pristine condition. All parts are official HP parts. This is an in-house iPAQ 114 case replacement service, when ordering this service you are required to ship the 114 into our repair centre for works to be undertaken.